Last year, the Question of the Month that got the most enthusiastic response was this one: What's the best thing you've made so far this summer? So, anybody want to play show and tell again? 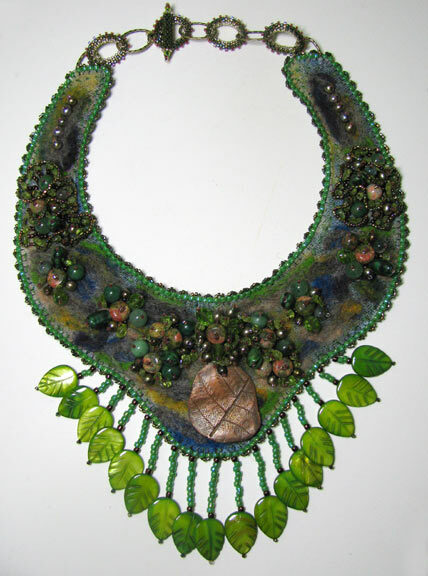 Wire work, seed beads, lampwork, fused glass, polymer clay, metal or metal clay...we love it all here, and we get enthusiastic about seeing all of it! So come on, don't be shy. We don't even care if it's not mixed media! You can leave a link here in the comments, or even better, send me an email with an image of your favorite summertime creation so far and anything you want to say about it. I'll post it on Mixed Media Artist with a link to your site or blog :-) Email cyndi @ mazeltovjewelry.com (remove the spaces) with the subject line "my favorite art project"! There's my fave so far, up at the top.